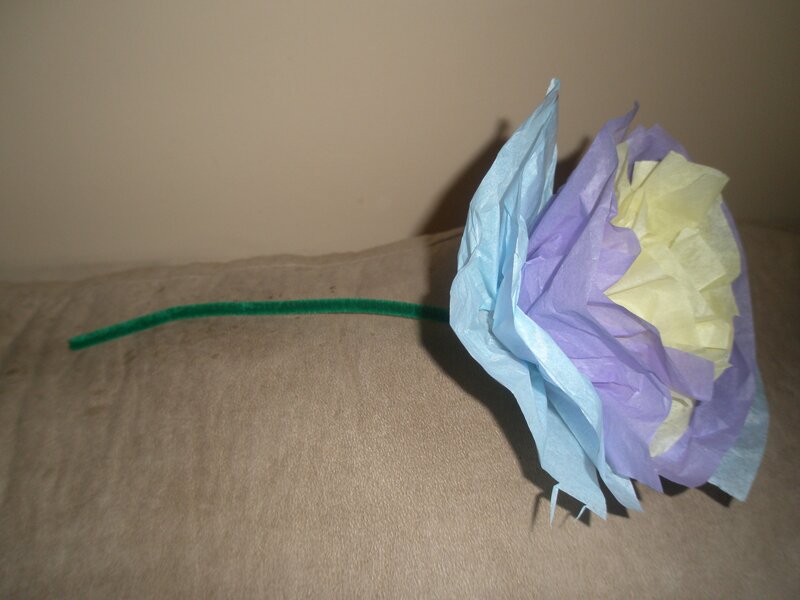 Tissue paper flower bouquets make excellent gifts from kids. They are easy to make and only a few materials are need. 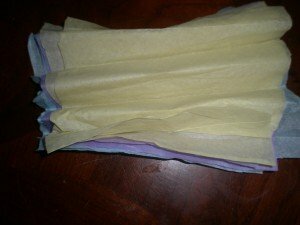 Follow the step-by-step directions below to make your own tissue paper flowers. Step 1: Cut variety of tissue paper colors in the shape of a square. The bigger the square the bigger the flower. Try to use 5-7 pieces of tissue paper. Tip: stack the colors on top of each other than cut to ensure they are the same size. Step 2: Fold the tissue paper back and forth the same way your would make a fan. Step 3: Wrap the pipe cleaner around the middle of the flower twist to it stays in place. Step 4: Carefully separate each piece of tissue paper, you’re done! You made your very own tissue paper flower. Make a bunch of flowers and place in a small vase to give as a gift. 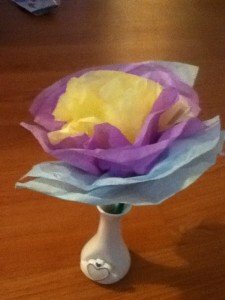 This is a cute tissue paper flower craft for young children. 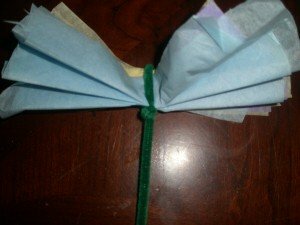 They make excellent classroom decorations, and a fun and easy to make. 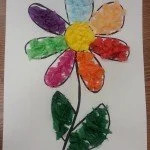 Step 1: Give each child a piece of white construction paper and a marker to draw a flower. 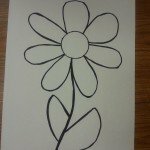 If the children are younger, draw a flower for them on the paper. Step 2: Have the children glue tissue paper in each of the flower’s petals and on the leaves.